Master Marf: Motivational Monday: 1UP! I thought I had eaten every edible mushroom known to mankind, but it looks like there are still some that I missed. Perhaps there is a business opportunity here? I'm pretty sure that's a recolored fly agaric. 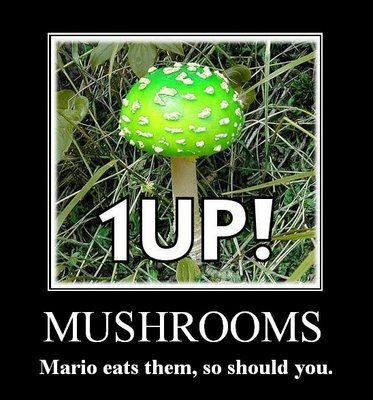 I wouldn't recommend eating it; it's more likely to be a -1up.